This diagram shows how we view the priority of each part of Iowa Home Care. The client, of course, is central in importance and the largest circle. 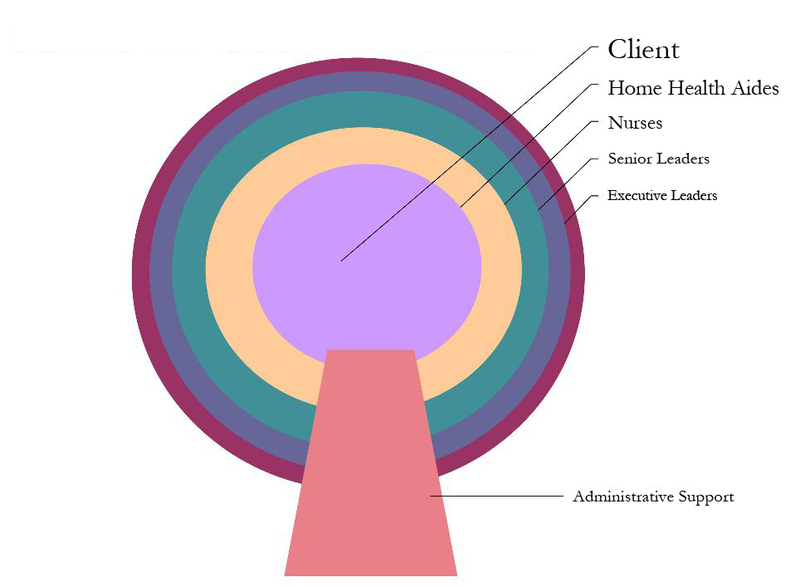 Our Home Health Aides, who have the most contact with our clients, are the next circle. As each part of our team is further from the client, their circle shrinks in size and impact. The client and their choices, health and well being are always the center of our universe.